Hanoi (VNA) – Quality is a key factor to increase the competitiveness of locally-made products, according to experts. 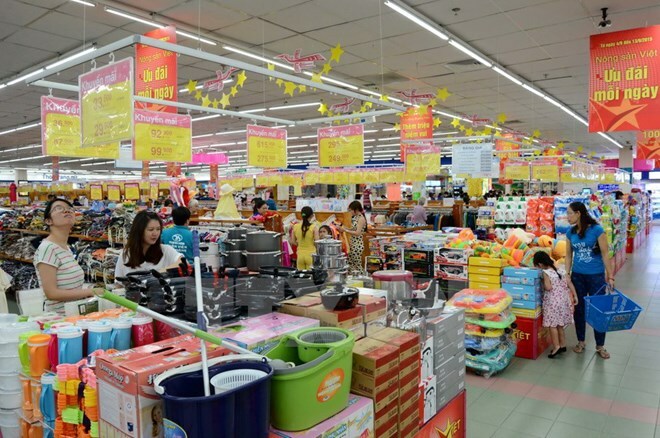 The campaign “Vietnamese people prioritise Vietnamese goods” has proven effective since it was launched eight years ago with various activities such as bringing Vietnamese goods to rural areas, establishing made-in-Vietnam goods stores, and prompting supply-demand connectivity. Statistics showed in Hanoi, locally-made products accounts for 80-90 percent of goods in supermarkets such as BigC, Saigon Co.op Mart, and Fivimart. In rural areas, more than 80 percent of goods are made in Vietnam. The increasing presence of “Made-in-Vietnam” stores in major cities demonstrates the growing demand for domestic products. This also means businesses are paying attention to high-quality and environmentally-friendly commodities at reasonable prices. Deputy Minister of Industry and Trade Do Thang Hai said the ministry has launched several activities in response to the campaign to raise businesses’ awareness of improving quality and competitiveness of products and services, ensuring legitimate rights of customers, and building national brands for Vietnamese goods. Vice Chairman and General Secretary of the Vietnam Association of Small and Medium Enterprises To Hoai Nam said with a population of 90 million people, the domestic market is a major one for local businesses, and if effectively used, it can bring enormous benefits.